LOS ANGELES -- Los Angeles police have made a "HOLLYWeeD" bust. 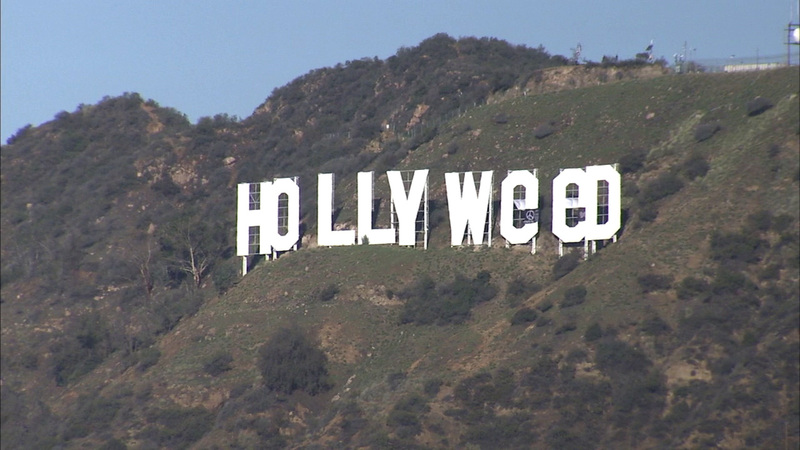 Zachary Cole Fernandez, 30, was arrested Monday, just over a week after a prankster used white tarps to make the "HOLLYWOOD" sign read "HOLLYWeeD," the LAPD said in a statement. Fernandez turned himself in with his attorney and was booked on suspicion of misdemeanor trespassing, police said. The prankster was dressed in black and was recorded by security cameras in the area changing the sign early New Year's Day. Fernandez told the Vice he had heard someone pulled the same prank in the 1970s, and he sought to repeat it to "bring positivity into the world." Fernandez will be released on his own recognizance and must return to court Feb. 15, police said. Contact information to request comment could not be found for Fernandez or his attorney. David Ryu, the city councilman for the area of the Hollywood sign, said such pranks "deplete the resources of our valuable public safety personnel, in both responding to the prank and in responding to the increased crowds and copycat attempts that these incidents generate." He added, "While the Hollywood Sign is an internationally recognized icon, it is located in a large urban wilderness park next to thousands of residential homes."